Shazam! retained its number one spot at the weekend box office for the second weekend in a row, while Hellboy failed to meet expected earnings and struggled amid a flurry of negative reviews. Hellboy was not alone in missing the mark. The animated Missing Link also failed to live up to hopes. Warner Bros.’s Shazam! struck lightning for a second weekend in a row, retaining its number one spot at the box office. 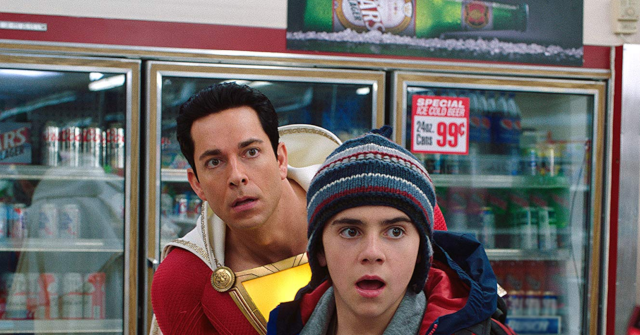 The Zachary Levi-starring superhero flick pulled in an additional $25.1 million for its second weekend earning it an estimated $258.8 million worldwide take. Universal’s Freaky Friday-styled comedy, Little, saw a powerful debut for second place delivering an estimated $15.5 million for its first weekend at the box office, according to Box Office Mojo. The film appealed to an older and more female audience with 65 percent women and a mostly over 25-year-old audience, with 43 percent of ticket buyers being black. In third place, but with a disappointing gate, came Lionsgate’s Hellboy. The film was estimated to pull in upwards to $17 million but earned far below that mark bringing in only $12 million for its debut weekend. Hellboy was hit with a number of negative reviews and was plagued with rumors of production problems. Paramount’s Pet Sematary maintained its spot in the top five, earning the fourth spot, though it saw a 59 percent drop in its audience from its opening weekend last week. The Stephen King remake earned another $10 million to bring its total to $76.8 million worldwide. Rounding out the top five was Disney’s live-action remake of Dumbo. While losing 49 percent of its audience over last weekend, the Tim Burton-helmed flick brought in another $9.18 million to add to its domestic total of about $90 million. That brings the film’s global tally to $267 million.